We’ve seen countless cars blown up on the big screen. Many filmmakers use computer effects to make things look good without actually having to blow up cars. Especially if those cars are expensive. The special effects crew who worked on the latest James Bond movie, Skyfall used a 3D printed model. They did this to save money and preserve a classic automobile. The team built three models using a 3D printer. 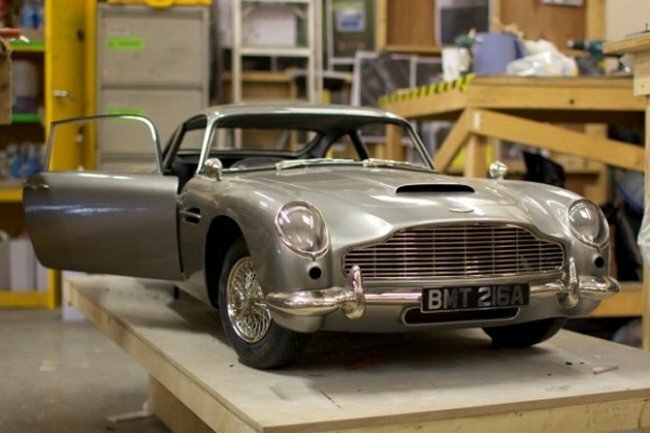 A company called Voxeljet created the highly detailed, 1:3 scale models of Bond’s 1960 Aston Martin DB5, which first appeared in Goldfinger 48 years ago. Voxeljet’s large VX4000 printer can print objects that are up to 4 x 2 x 1 meters (283 cubic feet)/ The final model was assembled from 18 parts. One wasn’t destroyed and was auctioned off for just under $100,000.